your ear that could fit in a thimble. of Qana are wiped of their dust. New Orleanians and others who’ve lived in the aftermath of Hurricane Katrina will nod their heads, saying Yes! while reading her memories of that challenging time. Reading those poems brought back memories to me that I hadn’t thought of in a long time such as the sunflowers that sprouted all over the city in the inhospitable muck left behind. Remember how amazed we all were at the sight of those flowers? Her Katrina poems do not disappoint. Be prepared to find tears in your eyes. 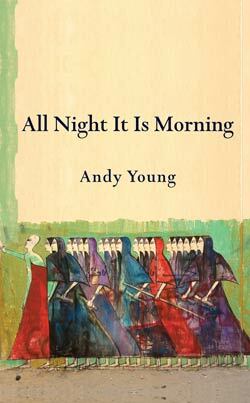 Ms Young weaves the narrative of all these places and events throughout the book with a deft hand, sometimes intermingling them within a single piece which I found quite effective. This book was very satisfying to read and I find myself going back to reread many of the poems, finding even more layers each time. Ms Young will be reading from this book Saturday, December 20 at Faubourg Wines, 2805 St. Claude Ave. This entry was posted in Book Reviews, Books, Culture, New Orleans Women and tagged Books, Children, Culture, Hurricane Katrina, life, Love, Middle East, New Orleans, Poetry, War, Women, Writers, Writing. Bookmark the permalink. you convinced me. i have to go get more of her. thanks! I hope you like it as much as I do, Tammy. I believe you will! Looking forward to receiving my copy.